Commonly known as Buffalo Clover back in the day, this beautiful and tenacious little blue and white bloom has been the Official Texas State Flower, and a symbol of the region, for over a hundred years! 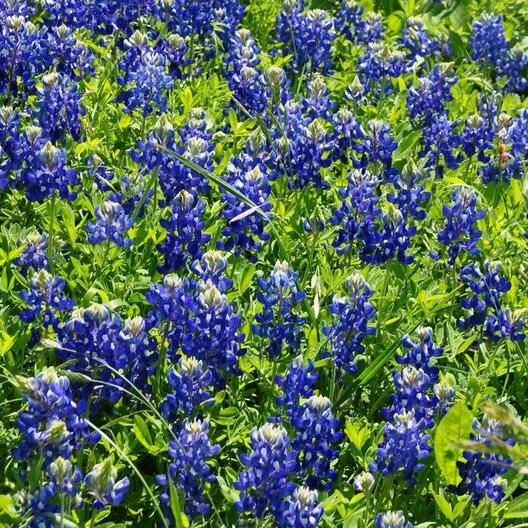 Low growing but prolific blooming, Texas Bluebonnet Lupine requires some patience, but little maintenance, once established. The same toughness and tenacity that makes this little Lupine the perfect representation of the Lone Star state also makes it slow to germinate and bloom--but once it does you will NOT be disappointed! We recommend scarifying the seeds to assist in the germination.